What Should You Look For In A Vacuum For Tile? Having a home with tile floor can mean dirty feet, and constant sweeping. Luckily, there are certain vacuums that are specifically designed for tile floors. Gone are the days of daily sweeping and dust bunnies, especially if you have pets. It's time to say hello to clean floors. 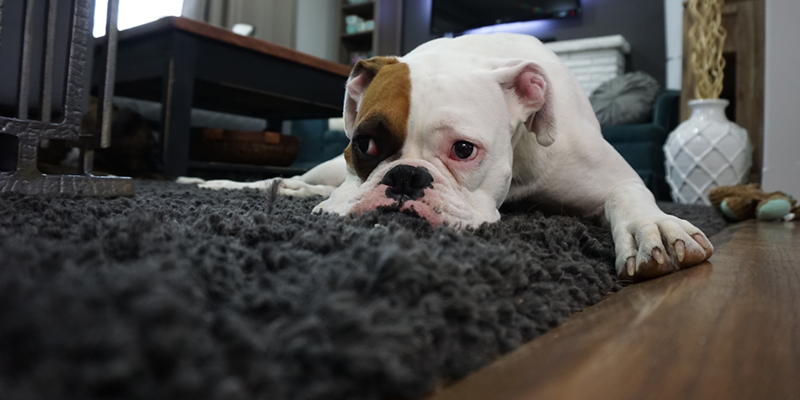 In this post, we are going to walk you through the top vacuums rated for tile and pets. 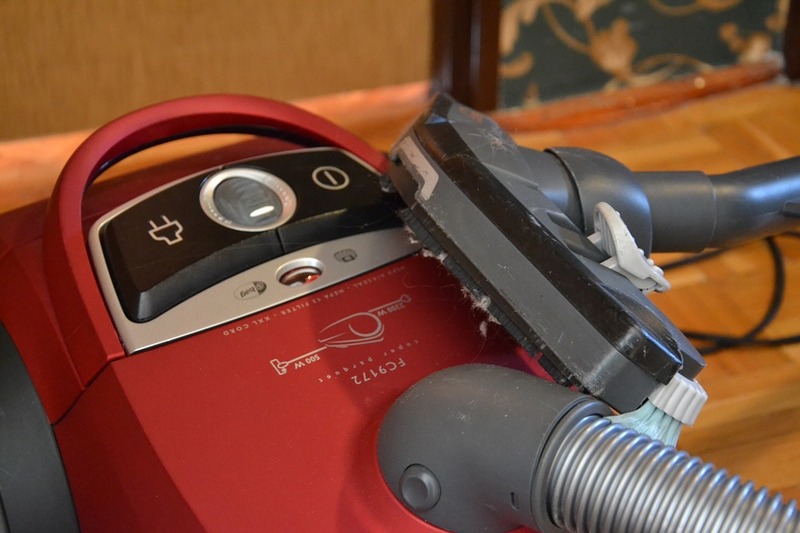 We will show you the details of each vacuum, as well as the pros and cons of each model. This versatile vacuum cleaner is manufactured by Shark. It is ultra-light which enables users to move it anywhere around the room extremely easily. The Shark Rocket TruePet Ultra-Light is also fitted with LED lights that make it much easier to see in hard to reach places. If upholstery is a concern for you, the Shark Rocket TruePet Ultra-Light has a pet multi-tool which can help get pet hair off of rugs and upholstery which is a great feature for pet owners. This vacuum cleaner also has foam filters that are adjustable and easily washable which is great if you're not looking to spend a ton on maintenance. This powerful, yet lightweight vacuum is an excellent option for just about anyone, but is best if you value maneuverability and suction power. Uses steam hence it is excellent for sterilizing surfaces and is the best for quick cleans. Weighs 10 pounds which makes it light and easy to maneuver. It is ideal not only tile floors but also for wood and laminate floors. It cannot be used with hard water as sediments will collect and clog the steamer which could hurt the whole system. The Bissell Symphony is an incredibly versatile vacuum with a lot to offer. It functions as a vacuum and a steam cleaner all in one. Its size is ideal which saves space that could have been used by a mop, dustpan, or cleaning bucket. The dual-purpose functionality of the Bissell Symphony makes it a no-brainer for tile floors. Unlike carpets, tile can be vacuumed and steam cleaned at the same time for a better clean. The Bissell Symphony is a great option if you care about dusting, vacuuming, polishing and sanitizing your floors all at once. Although it does not the strongest suction, it is easily the most versatile vacuum option on this list. This vacuum is an all-purpose cleaner. It can clean floors, car seats, and other upholstery in the house, not just your tile. The Tineco A10 Hero's claim to fame is that is an extremely low priced Dyson alternative. The overall design can be compared to the Dyson V8 or Dyson V10, but it does lack some of the power you'll find in a Dyson. For the price, this vacuum is one of the most powerful devices as it has the potential to clean various sizes of debris leaving the floors looking clean. This vacuum can be configured to a handheld, upright, or wand, meaning you can use it to clean everything from your upholstery to your ceiling. If you're looking for a low priced, but powerful vacuum, The Tineco A10 Hero is a great option to consider. It is strong enough to clean tile, including in your grout, but isn't as expensive as some alternatives. The design of the dust canister makes it easy to remove and empty it. Its hose is not very and is not flexible. If it clogs, it has been found to overheat and shut off. The Hoover WindTunnel 3 Pro Pet Bagless Corded Upright Vacuum is a powerful device which cleans stubborn messes using unmatched WindTunnel 3 Technology. It is a powerful and versatile vacuum that does a great job on hard floors. It also has a rubberized pet tool feature for picking out irritating pet hair from the floor and upholstery. Convenience is the main feature of the Hoover WindTunnel 3 Pro Pet Bagless Corded Upright Vacuum If you have more than just tile in your home one unique thing about WindTunnel 3 Pro is that users can switch swiftly from hard floors to the carpet by a simple press of a button. With this vacuum, it is convenient to empty dirt from the collecting cup. It has a long power cord that can be rewound easily when cleaning. Its automatic features standout and makes this appliance a great option if you're looking for an intuitive design to help make cleaning easier. Three brushes that work together to loosen, pick up, and eliminate dirt or pet hair. This vacuum presents a solution to your pet hair problem and is versatile for cleaning various surfaces around the home. The Bissell Cleanview is lightweight which makes it easy to steer across the room, and makes cleaning on tile a breeze. This vacuum has a triple brush roll which helps it to pick up various sizes of debris on multiple surfaces, not just tile. Its design makes it easy to clean edges, corners, stairs, and furniture. The Bissell Cleanview has pet turbo eraser and pet hair corner tools that help keep a house with pets hair free. These tools are great for use on upholstery or rugs. Every home requires a vacuum cleaner if the floors are to remain spotless all the time. These devices present advantages over the conventional cleaning methods. If you want to save on time, energy, clean stubborn stains, remove pet hair effectively all without spending a ton of money, you need a vacuum that is designed specifically for your needs. If you have a home with pets and tile, you have unique needs that other people may not have. You don't want to waste your money on accessories or features you don't need. Similarly, you want to make sure the vacuum you choose can clean your floors effectively. When shopping for a vacuum cleaner for your home, you need to take a few things into consideration. First, you need to make sure the vacuum cleaner you choose is a good value. Like we mentioned before, you want to pay for a quality machine, and not pay for things you don't need. Sometimes a higher price doesn't mean a higher quality vacuum. Be sure to read plenty of reviews of the vacuum you're thinking of getting to make sure it is a good choice. Secondly, you need to have power. Without power, you won't be able to clean anything. Suction power on tile can be tricky, so make sure the vacuum you choose is highly rated on hard surfaces. Lastly, for a home with pets, you're going to need upholstery accessories. Many vacuums come with these included, but some do not. Make sure you know what accessories you get when you decide to make the jump and purchase a vacuum for your home. None of these vacuums doing it for you? Check out our post of the best vacuums of 2018 to see some other great options! What features do you look for when shopping for a vacuum? What do you think about the vacuums we talked about in this article?